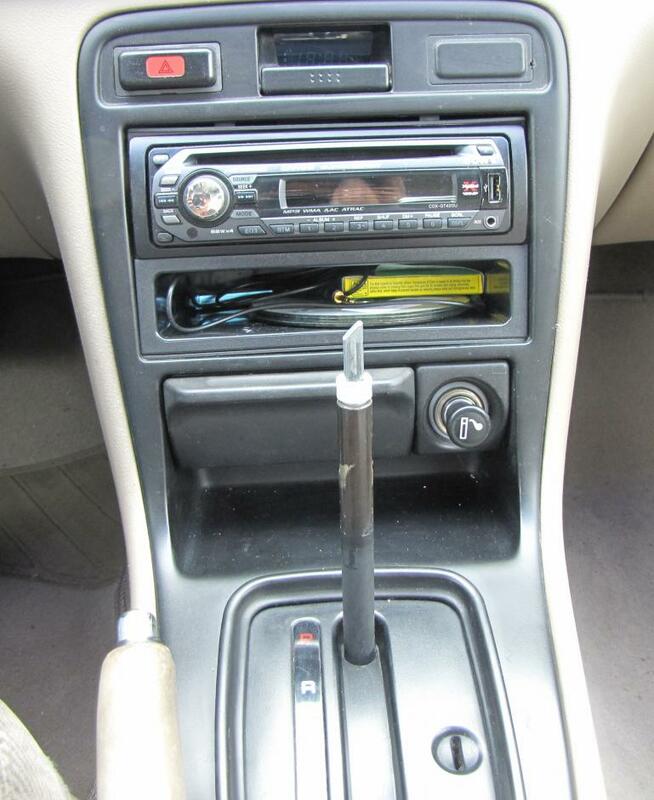 This is a very easy and short DIY for replacing the shift **** on an automatic accord with an aftermarket one. Allen Key or screwdriver specific to the aftermarket **** you are installing. Time required: 5 to 10 minutes. Make sure your car is off and in park. 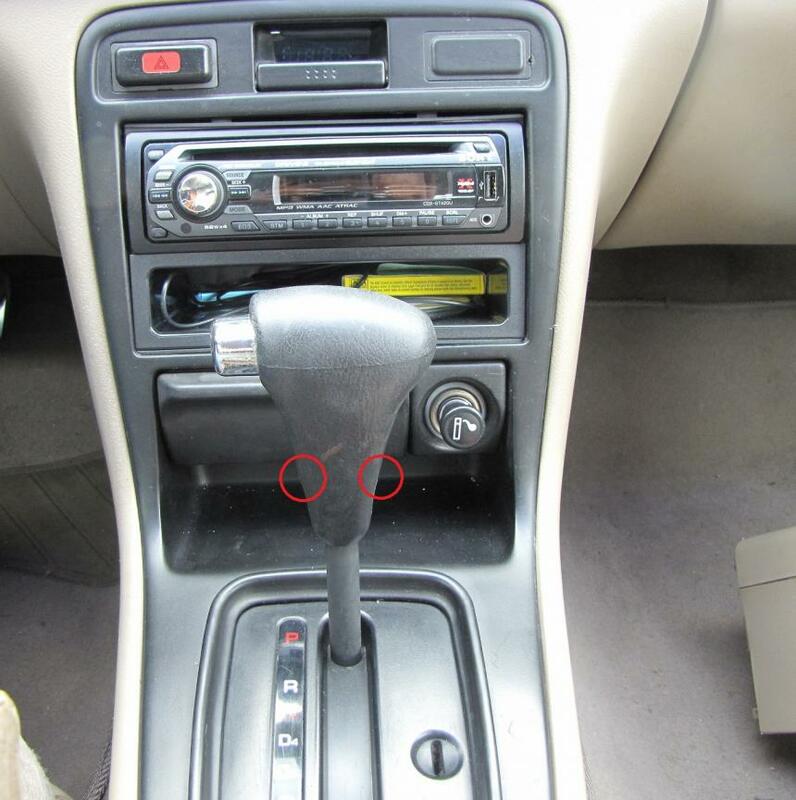 -Unscrew the two screws on either side of the OEM shift **** with. -Slide the whole assembly straight up out of the shift lever. BE GENTLE, there are plastic parts that you wont want to break. -You will see a spring loaded rod with triangular tip. Around it, there is a white plastic piece. I am not sure about the purpose of it, but do not break or loose it. -Slide the spring around the triangular tip rod. I used the same spring from the OEM ****, because the spring loaded button on the aftermarket **** was not strong enough. (Some aftermarket ***** come with pre loaded spring button or with separate spring). -Slide the new **** in place and hold where you feel the resistance(when you feel that the base button is just touching the rod inside). -Use the allen screws or whatever screws came with the **** to tighten the **** in place. -Test if there is any problems in shifting. Remove and redo the installation again if the shift is harsh or not smooth as factory ****. Enjoy your new after market ****. I am planning to go for a boot change and push cap **** rather than the push button one that I have right now. yeah, true. seems there's a trick on the fixing of the ****. If you don't get it right, you can shift on all gears/position without pressing the button thereby disabling the safety lock that you have to press the button before you can shift from P to R , N to R etc. Yup, but I ran into problems not shifting into park after it went to any other gears, thats why I had to put the OEM spring to get the right amount of spring force. They do sell springs in home depo that you that you have to cut and what not, but the spring from the factory worked for me. 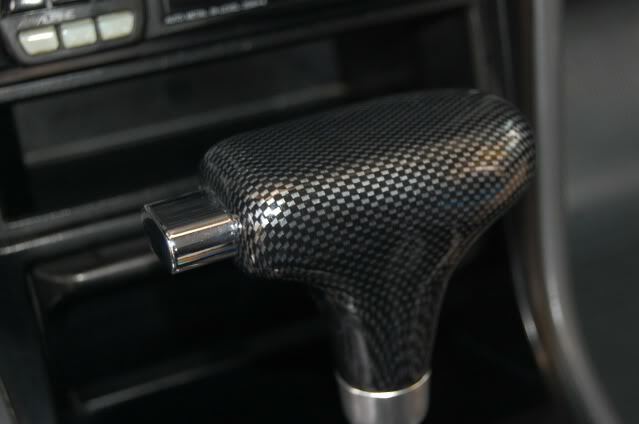 I did this years ago on a 95 wagon, used a shift boot from an early 90s 300ZX and a button-less shift **** on ebay. 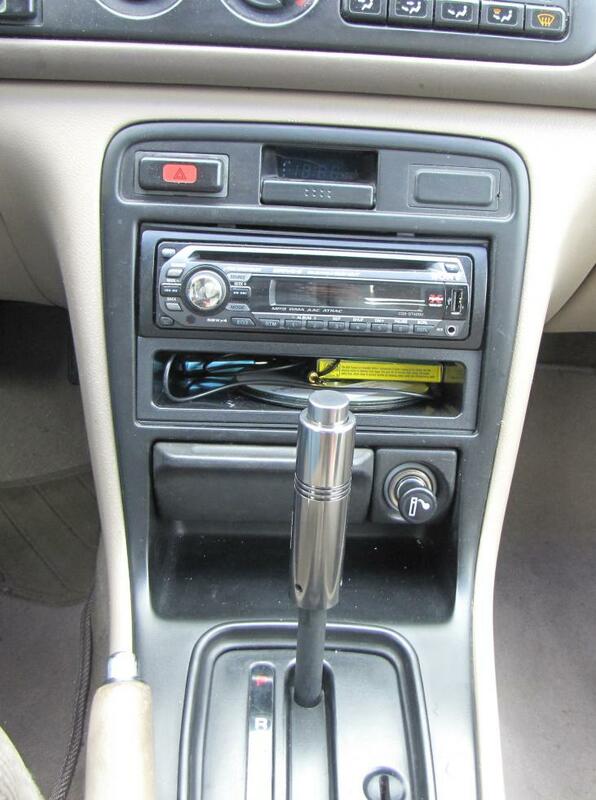 It was made for an automatic and its internally spring loaded, pressing down on the shift know was "pushing the button". It was a great design and when done looked JUST like a manual. Is it possible to do this on a gen6 02 accord? and where did you buy you're ****? does it hurt the car if I put on a manual shift **** in place of the automatic ****, by fixing it so that it will always press on the shift release? I have read some where you can actually mod the lock installed on the shift so that you can put the keys on "off and lock". It is doable only thing I'm worried about is that having the shift release pressed on all the time that it may hurt my car.